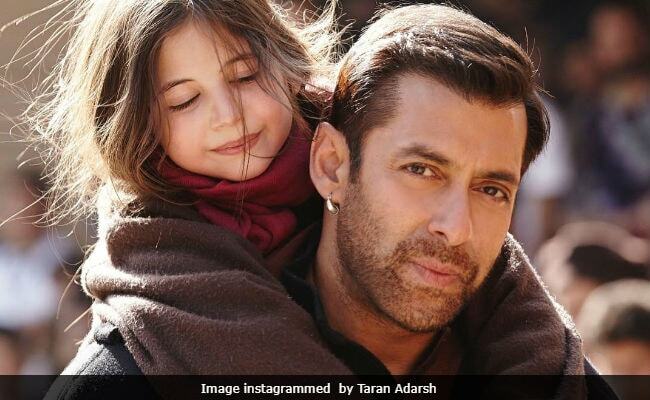 The first weekend of Salman Khan's Bajrangi Bhaijaan ended with a bang in China and now the weekday collection numbers also appears to be "excellent," reports trade analyst Taran Adarsh. The film, which opened in Chinese theatres across 8,000 screens on March 2, has collected over Rs 66 crore till Monday. "Bajrangi Bhaijaan starts the first day of weekdays on a strong note in China. Climbs to No #4 position in Top #10 charts on Monday," he tweeted. The film debuted at No #7 on Friday in China. "Excellent trending when one compares Friday and Monday business," he added. EXCELLENT trending when one compares Fri and Mon biz. Though Taran Adarsh says Bajrangi Bhaijaan's performance was "excellent" it is nowhere near the opening weekend collection of Aamir Khan's last release in China Secret Superstar. The film, which also stars Zaira Wasim, collected Rs 175 crore over the three-day weekend and by the fourth day of its release it had crossed Rs 200-crore mark. Before Secret Superstar, Aamir's Dangal released and conquered the ticket window in China. Though Bajrangi Bhaijaan beat Dangal's opening day record it could not beat it in the crucial Monday test. After four days of its release in China, Dangal pocketed over Rs 100 crore. The lifetime business of Dangal in China is over Rs 2,000 crore. #Dangal has an EXTRAORDINARY Monday in China... Collects $ 2.80 million... Total: $ 14.07 million 90.58 cr]... Racing towards 100 cr. Bajrangi Bhaijaan released in India in 2015 and it was a critical and commercial success. The film's lifetime collection in India is Rs 320 crore. Bajrangi Bhaijaan is directed by Kabir Khan and it also stars Kareena Kapoor and Nawazuddin Siddiqui.